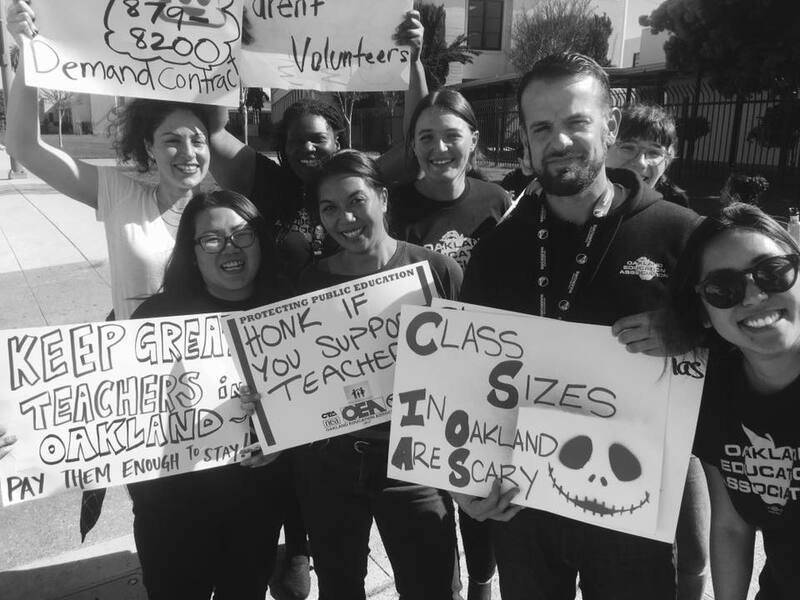 The Oakland Education Association is the exclusive representative of nearly 3000 teachers, counselors, nurses, psychologists, librarians, speech pathologists, social workers and teacher substitutes in K-12, Early Childhood and Adult Education in the Oakland Unified School District. We are governed by an Executive Board elected by the membership. The policy making body is the Representative Council consisting of elected members from each school site. We are affiliated with the Alameda Labor Council, the California Teachers Association and the National Education Association. We are committed to advocating for a quality public education for all of Oakland’s children!